I love durians! And I love Malaysian durians! I think our durians have more aroma and flavour than Thai durians! Do you agree? 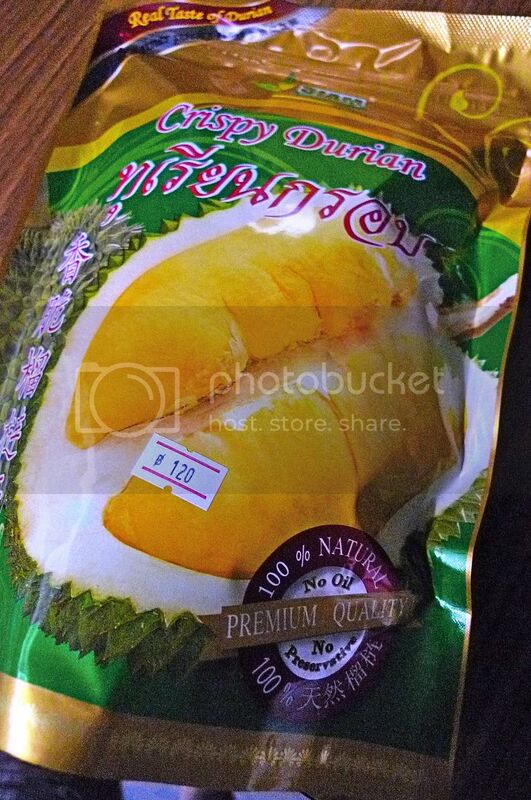 But Malaysia does not have this durian snack that I found in Thailand! It's called Siam Crispy Durian. I had tasted this durian snack many years ago and fell in love with it! So during my Bangkok trip late last year, I made sure that I buy some of these snacks back home! I had forgotten where I bought the snacks years earlier, but I remember it was from a shop somewhere inside MahBoonKrong (MBK) Mall. It's the same mall where I ate the delicious sticky rice with durian! 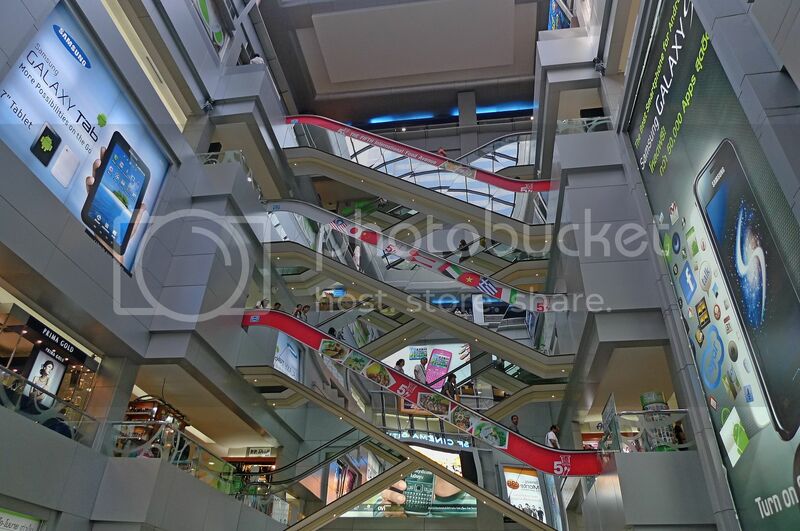 I did not know the name of the shop so I walked round and round the mall but could not find the shop! Don't tell me it's no longer there! And then I found it! It was located just outside the food court on the 6th floor where I ate the som tum, sharksfin soup and my favourite sticky rice with durians! It's unbelievable how I could have missed it! The shop is called Champ. Champ sells all kinds of tidbits and snacks. 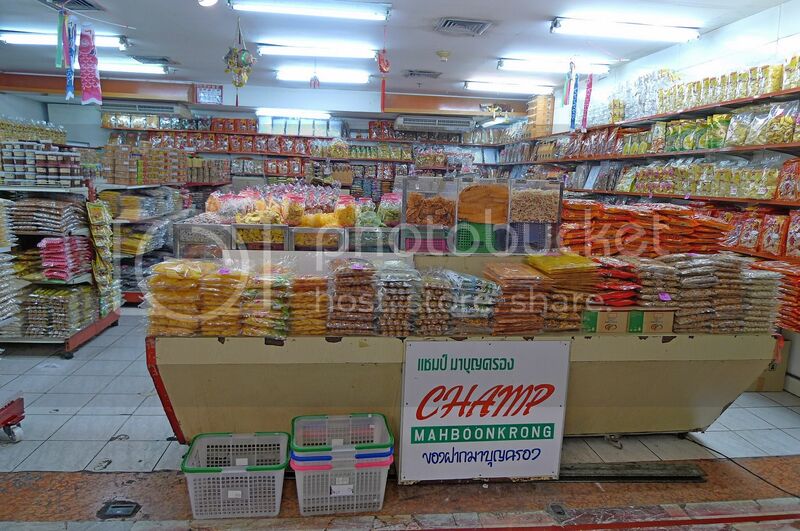 If you love "junk food", then this shop is a MUST VISIT when you go Bangkok! 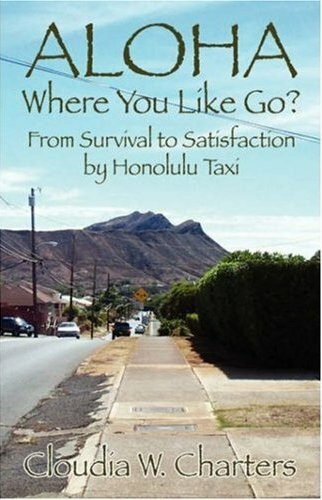 You will surely find something you want! OK you can't find the above. 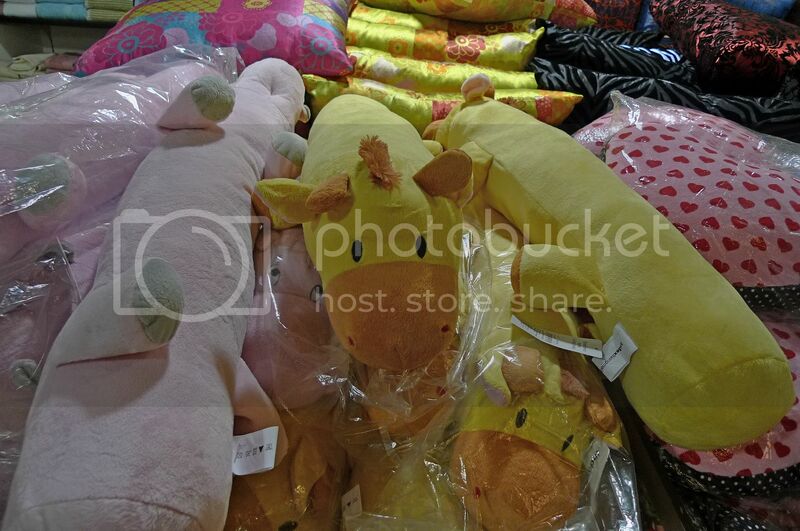 I just quickly took a picture of these cute piggy bolsters while searching for Champ. Of course, during my trip to this shop, I was not interested in any of those tidbits and snacks, except for Crispy Durian! There were a few brands selling this Crispy Durian snack. 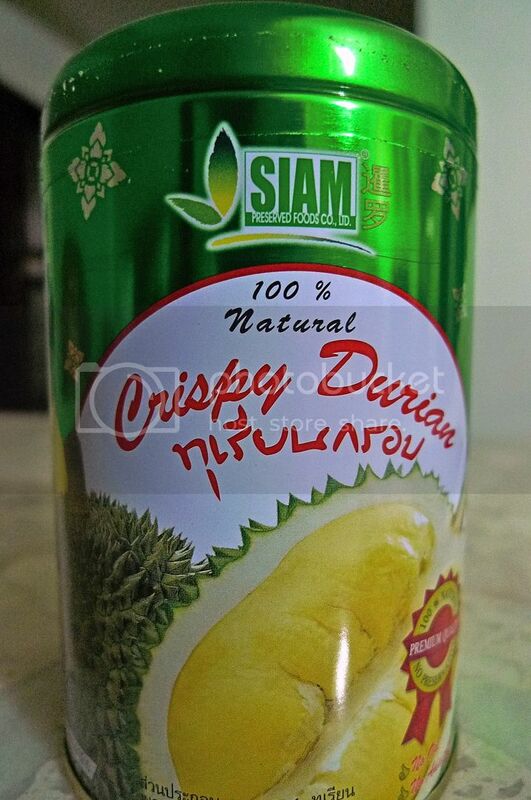 But Siam Crispy Durian is the best! The Crispy Durian snacks came in two packaging styles. One was in packets like the first photo above and the other was in boxes like this one. Inside the box contains 4 tins of Crispy Durians. The tin looks like this. 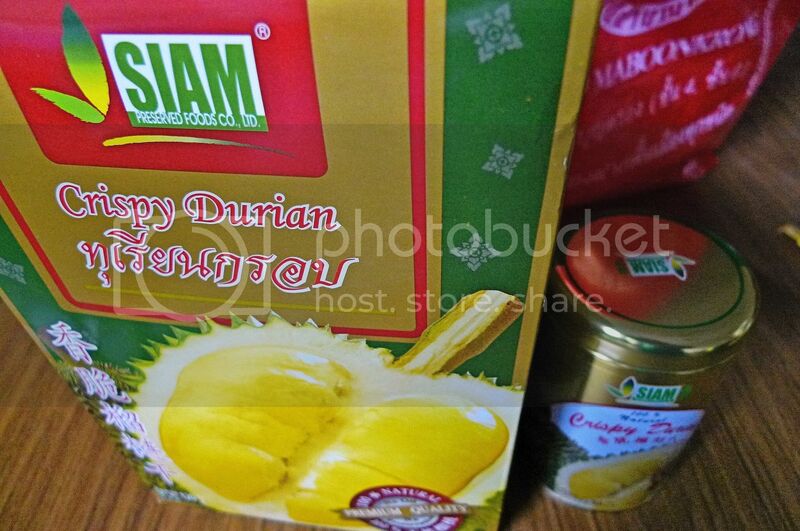 The Siam Crispy Durian box package retails at 240 baht (RM24) whereas the packet retails at 120 baht (RM12). The packet contains about the same amount as 2 tins of Durian Crispy. I don't know about you but I think the prices were pretty expensive! 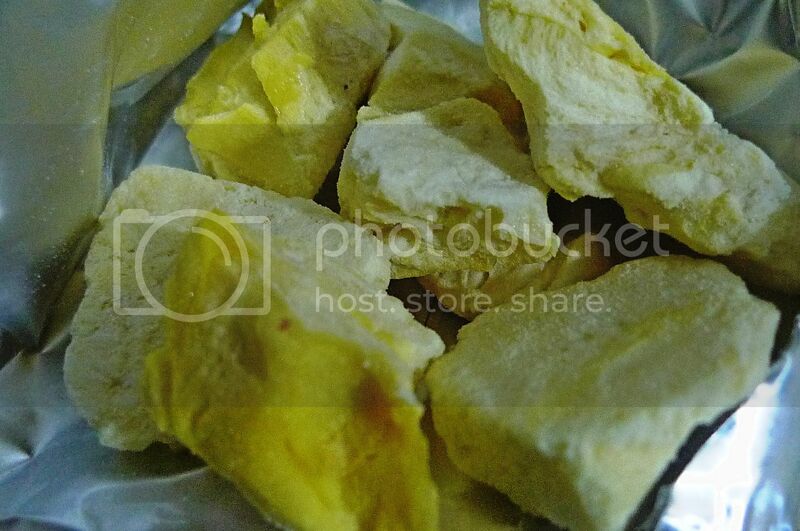 This is how the Crispy Durian looks like. I took a bite and could not stop eating the rest of them! It was delicious and full of durian flavour! By the way, this snack contains about 94% durian, 4% sugar and 2% palm oil. It's a high quality product (matched by its premium price) and I doubt you can find it anywhere else except in Thailand! Guess what? After returning from my Bangkok trip, all my Crispy Durian snacks were gone within a day! Boo hoo! Now I am craving for Crispy Durian! 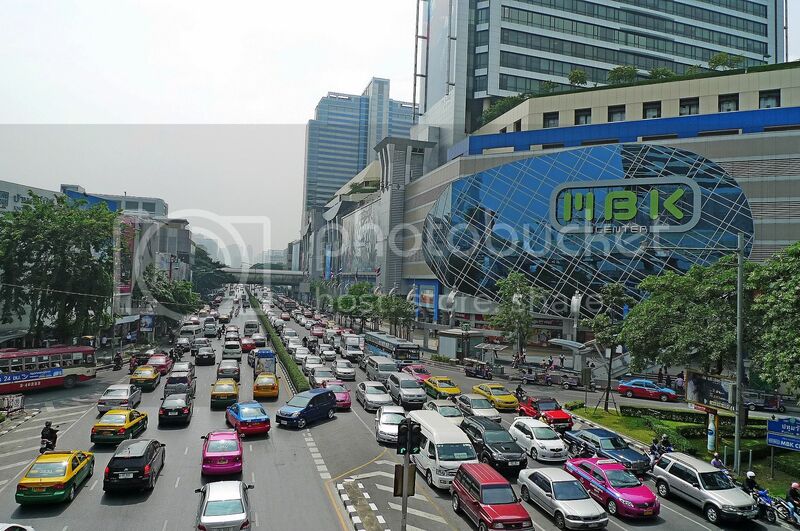 Anyone going to Bangkok soon? Top 10 Reasons Why I Love Chinese New Year!